Is there anyone who does not love homemade bread? If so, I have not met that person, have you? As a young mother of two toddlers in the early 60s, I was gifted with a kind neighbor who taught me to make white bread, the only kind we ate back then. 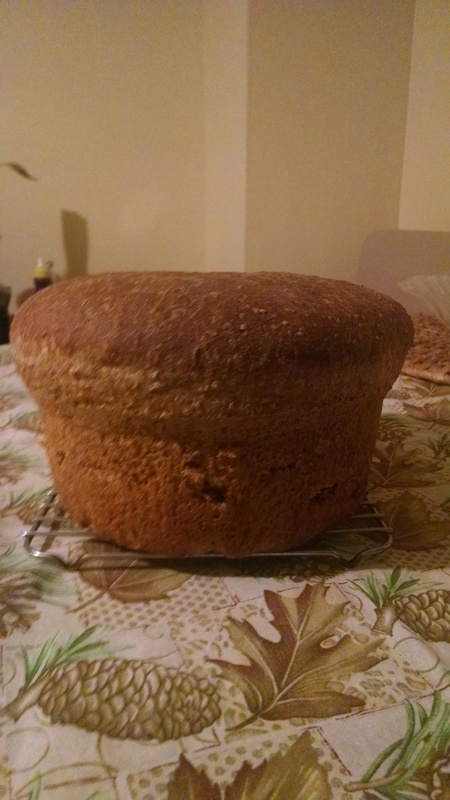 I loved my new skill for two reasons: my bread tasted so much better than Wonder Bread and, for as long as I was an at-home mom, I was proud to be able to make all our bread. Then life led me onto unexpected paths outside my home and I lost that precious time for several years. In the late 70s, I remarried, a Catskill Mountain dairy farmer, a decision that brought two more toddlers and my unrelenting quest to learn how to make and preserve all our food from scratch. Microwaves had just hit the market but Cuisinart hadn’t invented bread machines yet, so the bread maker was—well—me. I thrived for more than a decade pursuing this lifestyle I loved until the farm economy nose-dived and I needed to return to work off the farm. Once again, I shelved my precious lifestyle mission. Now, in retirement, I’ve embraced that wonderful quest again. I prefer, as much as possible, to be intimately acquainted with each ingredient I use and know where it came from. Recently I was kneading a batch of whole-grained bread for stuffing the Thanksgiving turkey and reflecting how many ways we can make delicious breads today. First, of course, are the bread-making machines on our kitchen counters. Mine is an unexpectedly acquired stainless rectangle that takes a lot of counter space bur does a decent job if I’m short on time. Second is a recent quick way to make no-knead yeast dough: put all ingredients into a bowl, stir briskly until mixed, and refrigerate for up to two weeks. Whenever you want bread or pizza dough, you simply scoop out a ball of the dough and bake it. Then there’s the old-fashioned way I learned five decades ago. As I kneaded the large stuffing dough ball, I decided this would always be my favorite method. I loved the feel of the gingerbread colored dough moving back and forth beneath my palms and of the many bits of cracked wheat that dimpled the ball. The sound of the dough sliding on the lightly floured breadboard beneath my hands also whispered promises of mouth-watering moments later on. When just enough flour had been kneaded in, the dough lost all stickiness and felt cool, smooth, and pliable. Then I rolled it in my oiled bread bowl and covered it with a towel with these embroidered words, “Thank you for friends between us, food before us, Your presence among us.” As I began another task I smiled as I thought about the silent magical task that dough ball was about to begin to double its size in the dark beneath the towel. My thoughts slid back to long-ago maple syrup seasons on the farm. On an unknown day in late winter, as the nights stayed cool, but the days began to warm, I’d step outside into a warm moistness in the air and know intuitively that sap had begun to run in the maple trees. The time had arrived to tap the trees and boil the sap into delectable maple syrup. No one told me; the knowledge had, over the years, simply become stored in my bones. Later, as my baking bread filled my small house with an aroma that no bread machine could duplicate, I understood that the act of making bread the old-fashioned way was for me as visceral as knowing when the sap had begun to flow. It was a silent, mysterious, and exquisite act of tapping into ancient wisdom. This entry was posted in Family, Gratitude, Health, In the Kitchen, Simplicity. Bookmark the permalink.